Dr. Catrina Costanzo received her Bachelor of Science from the University of Waterloo in 2006 and later graduated with Honours from the School of Optometry in 2010. At her graduation she was humbled to be awarded the Dr. Irving Baker Scholarship for Clinical Excellence. That same year she became a member of Orangeville Optometric Centre’s growing team of Associates. Dr. Costanzo is thrilled to practise in the Orangeville community alongside such a close-knit group of optometric professionals. Her mission statement is to provide the highest level of care to her patients so that they can be the best versions of themselves. 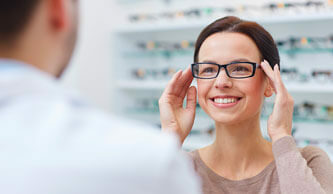 She takes pride in being part of a practice where she can offer the most thorough and advanced care in the field of optometry and vision care. Other than private practice, Dr. Costanzo has extensive experience in a variety of optometric settings. During her studies she interned with leading experts in the field of glaucoma research at Toronto Western Hospital. The following year she gained extensive knowledge in the diagnosis, treatment and management of ocular disease during her internships in Pinellas Park Florida, and New York City. Also in NYC she had the privilege of interning with a renowned Vision Therapy expert and professor at SUNY University. 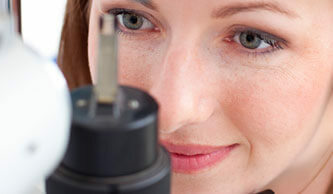 Dr. Costanzo is a member of both the Ontario Association of Optometrists and Canadian Association of Optometrists. She lives in Vaughan with her husband and children and is an active volunteer and contributor within her community.